The ISU Department of Psychology is located in Root Hall, a modern building that also houses faculty and graduate student offices, research facilities, seminar rooms, and the Psychology Clinic. 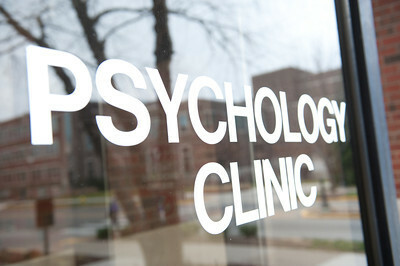 The Indiana State University Department of Psychology operates its own Psychology Clinic, which provides a wide range of clinical services to the community. The Psychology clinic has multiple copies of the major intellectual and ability measures (e.g. Wechsler scales), as well as self-report and performance based measures of personality and psychopathology. The Psychology Clinic also maintains a library of therapy and assessment related books as well as evidence-based treatment manuals. The therapy, assessment and group rooms in the Psychology Clinic are all equipped with digital cameras and microphones. The department's facilities also include numerous computers for word processing and data analysis, equipment for biofeedback and psycho-physiological measurement, and human research rooms. A full-time shop technician is assigned to the department.